Brooke Morgan’s debut novel, Tainted , is a thrill ride in a small, shoreline town in Massachusetts — Shoreham — as Holly Barrett meets the man of her dreams on a bus. Jack Dane is dashing, charming, and British — an accent to die for — but there is something below the surface that is not so inviting. Holly’s had a tough youth from getting pregnant at a young age to losing her parents and struggling as a single parent. Jack swoops in and casts a spell that she is unwilling to break, despite the objections of her family and friends and only knowing him for about three weeks. Morgan’s writing is upfront and engaging, though at times chapters shift from the point of view of Holly, her five-year old daughter, her grandfather, and others. Readers will eat up these pages, trying to uncover Jack’s dark secrets, while at the same time wishing they could shake Holly into her right mind. At times, Holly is very naive about Jack and moves too quickly into a relationship, which can be attributed to her inexperience with men and her self-imposed isolation. However, there are a number of occasions where Holly sees clear red flags in Jack’s behavior and chooses to ignore them, reminiscent of abused women. Morgan’s debut novel is a solid thriller with many twists and turns that will have some readers guessing until the very end. 1. Leave a comment on this review. 2. Blog, Tweet, Facebook, or otherwise spread the word about the giveaway. 3. Comment on the guest post. If you are interested in Tainted, you should check out the rest of the TLC Book Tour. 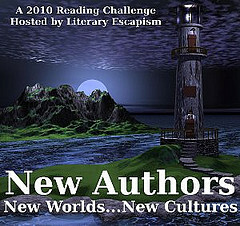 This is my 5th book for the 2010 New Authors Challenge. 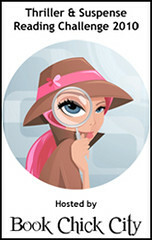 I’m considering this for my 2nd book, a romantic thriller, for the 2010 Thriller & Suspense Reading Challenge. 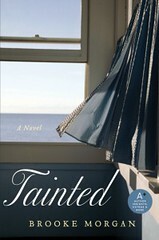 FTC Disclosure: Thanks to TLC Book Tours, HarperCollins, and Brooke Morgan for sending me a free copy of Tainted for review. Clicking on image or title links will lead to my Amazon Affiliate page; No purchase necessary, though appreciated. This book sounds very interesting. Always looking for something new and exciting to read. 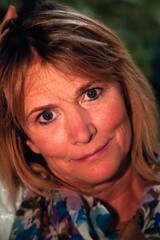 Like the way Sandy said I get a bit nervy when women seem to go into bad situations with their eyes wide open! Please enter me. I have tried to get to your blog for the last three days and only just succeeded. For some reason it just wouldnt open. Great review! I'd love to win this one. It sounds like my kind of read.. Sounds like a great book and I LOVED the guest post as well! Enter me for this giveaway! I love physochological thrillers. Count me in. You've got me so excited about this book! I can't wait to read it! No need to enter me because I've got a copy of the book…I just need to get to it! 🙂 Thanks for being on this tour! Great review! Oh, I'm so glad this is suspenseful, even if you want to kick the main character. I'm looking forward to reading this one at the end of this week. No need to enter me. Good luck to everyone else! Thsi sounds good, I like thrillers! You got me interested … but I hate the idea that a single mom might get involved with someone who might put her child at risk. Please enter me. Sounds like an exciting book. Count me in! i'm so intrigued with this book. count me in ! This looks great! I'd love to have this one. Thanks for the giveaway. My goodness, this book looks amazing! For sure I would eat up the pages if I won! Please enter my name in your draw. Thanks. Good review. I am always looking for a good thriller. Although it sounds like Holly might be a bit much to take at times. Interested to see what the secrets are and how it turns out though. I love the first quote you included. It's so very true that we will change our perception of the world because of want to believe something even though everything and everyone is trying to convince us otherwise. I just got an email the other day that I'll be joining the Tainted tour (Thanks Trish! ), so no need to enter me. Definitely sounds like a very interesting book. 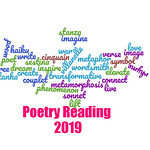 Would love to be entered. The book sounds like it might be a fun read and I find myself craving some good thrillers nowadays. I also am one of those people who don't mind alternating narratives. I think I'd really like to slap Holly, especially after what you've told me of the book on our walks to the bus. I love the cover, though. No need to enter me, but I'll add the giveaway to my sidebar.